If you and your family are making a trip to the Wildwood Boardwalk this summer, then ya gotta stop by Captn’ Jacks Island Grill. 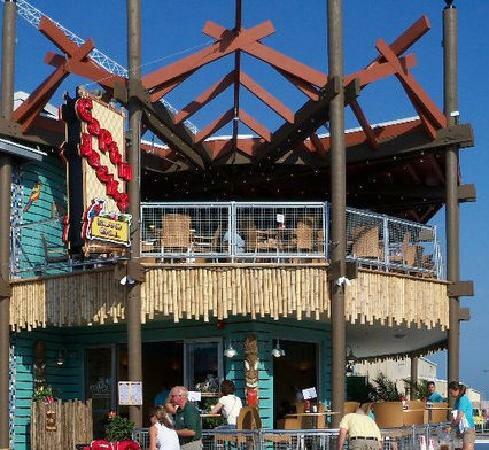 The three-year old island getaway is home to the boardwalk’s first liquor-licensed restaurant. Since its grand opening in summer 2010, Captn’ Jacks has expanded both its food and beverage menus. Order a tropical mixed drink or try one of their famous frozen drinks. You’ll immediately feel cooled off with whichever you choose! Jack’s upstairs deck overlooks the ocean and is the perfect spot to watch 4th of July fireworks. Every Friday (at 10 p.m.) July 6 through August 31 you can sit front row for the fireworks display. Captn’ Jacks newest downstairs deck is also a great place to catch Phillies games. If your looking for a great happy hour spot coming off the beach or a place to enjoy a nice family dinner or even a chill place to grab drinks with friends, head over to Captn’ Jacks. You’ll forget you’re on the boardwalk and think you’re on a tropical island as soon as you walk in! Like Captn’ Jacks on Facebook to keep updated on their specials all summer long! University City Restaurant Week… coming soon. This is part one of three commercials that University City Dining Days is making. Looking for a great way to celebrate the 4th? What better way to spend your holiday than at Wawa Welcome America! This eleven-day family friendly bash begins Monday, June 25 with a free waterfront concert and luminous fireworks. 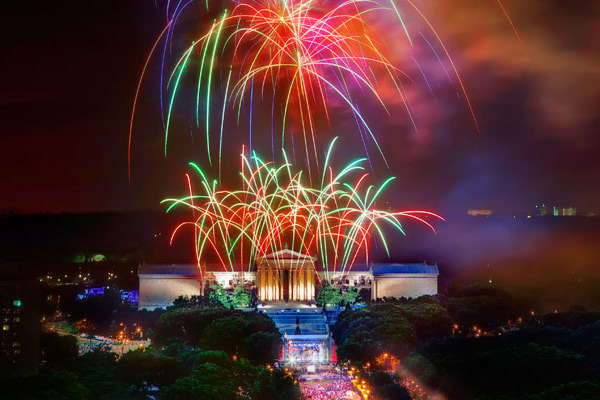 The fun continues with Wawa Hoagie Day on Wednesday, June 27th and is followed by Philly at the Movies throughout the week and Party on the Parkway on July 4th. To induce the spirit of 4th of July die-hards, there are two incredible firework displays. The first is on Saturday, June 30th at Penn’s Landing. The second is at the art museum steps, right after America’s largest, free outdoor concert. Philly 4th of July Jam is full of live performances from The Roots, Queen Latifah, Daryl Hall, Common, Joe Jonas, and more! Whether you slather on ketchup, mustard, relish, or sauerkraut, nothing beats a good old-fashioned hot dog. Want to be a little more adventuress with your dog? Check out Underdogs, located at 132 S. 17th street in Philadelphia. 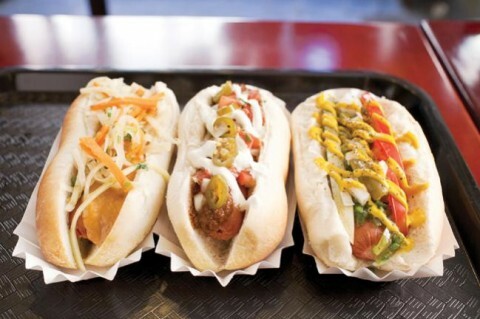 Owner Robert Amar combines the elements of affordability and exceptional ingredients to create an underground heaven of “haute” dogs. An unusual dog that will definitely trigger your taste buds is the “My Thai”. This unusual concoction nestled between a fresh, toasty bun has a spicy peanut sauce and a green papaya slaw. Want something that will make you feel warm and cozy inside, the same feeling you experience while devouring thanksgiving dinner? Try the “TRYP”, consisting of smoked turkey sausage, stuffing, gravy, and cranberry relish. Yum! Any delicious creation from this joint will surely be a home run. For more information on their very flexible hours and mouth-watering menu, please visit Underdogsphilly.com. Rather than a night dancing beneath the stars, what can be more invigorating than a night dancing amidst the ghosts of the Eastern State Penitentiary? This horrifying yet magnificent building was once the most legendary and expensive prison in America. It was also the home of America’s most prominent criminals such as bank robbers Willie Sutton and Al Capone. The deteriorating cell blocks and tall, dark guard towers make for a thrilling experience during Eastern State’s Dance Party at the Pen: A Masquerade happening Saturday, June 16th. Guests are encouraged to wear masks, contributing to the mysterious feel of the abandoned prison. DJ Phsh will be there to provide guests with all the latest music along with a variety of beverage choices such as beer by Yards, wine by London Grill’s Paris Wine Bar, and cocktails including Bluecoat Gin and Penn 1681 vodka. Delectable hors d’oeuvres are provided by Jack’s Firehouse. Looking for the perfect way to bond with dad on this year’s Fathers Day? Look no further! Linvilla Orchards is celebrating dad’s big day with its annual Father’s Day Fishing. Dads fish for free on Father’s Day, Sunday, June 17th, with purchase of child admission. Spend the day on Linvilla’s pond, starting at 8 a.m., reeling in the big fish and take home your prized catch starting at $4.99 per pound. 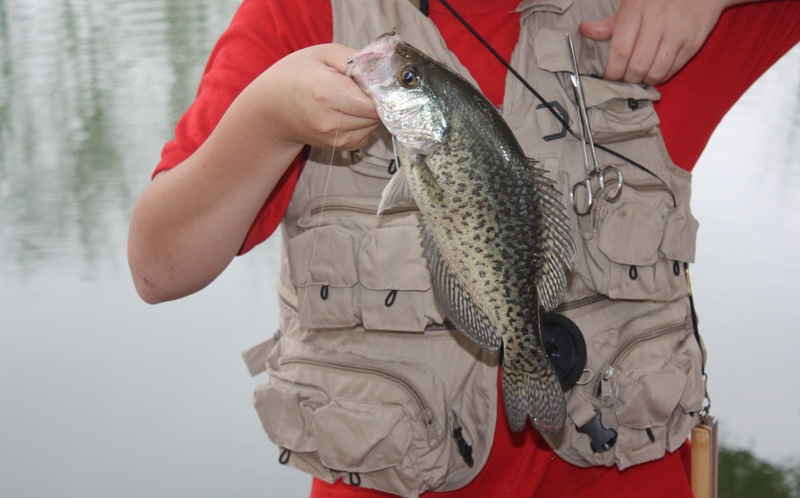 Bring your own lucky fishing rod or rent one for the day, and no worries Linvilla will have bait on sale! Make this years Father’s Day memorable and celebrate all dad does by getting out to Linvilla for a fun-filled day of fishing! Linvilla Orchards has over 300 acres dedicated to agriculture, education and entertainment. Linvilla’s hours are 8 a.m. to 6 p.m. Sunday through Thursday and 8 a.m. to 7 p.m. Fridays and Saturdays. To learn more, call 610.876.7116 or visit Linvilla at 137 W. Knowlton Road in Media, PA www.linvilla.com. Cone or cup? Jimmies or sprinkles? It’s that time of year again. Beach Season! Everyone’s heading down the shore. And why not? The weather has been great and the shore is a nice little get away. Whether you are heading to Ocean City, Stone Harbor, Wildwood or Cape May the odds are good that you will be having a Kohr Bros. ice cream while enjoying your time there. 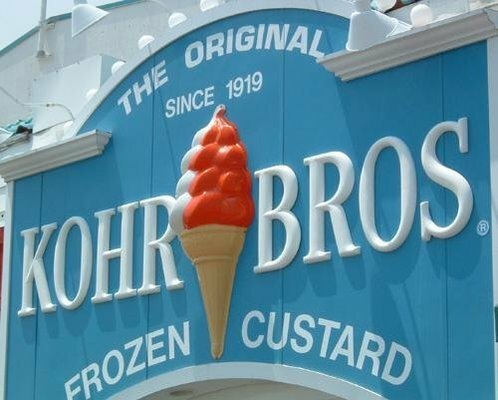 Some fun facts about the 93-year-old Kohr Bros. frozen custard we all know and love… There is less fat and sugar in a Kohr Bros. custard than in regular ice cream. It’s made from Archie Kohr’s original recipe created in 1919. The favorite Kohr Bros. flavors include chocolate, vanilla and orange sherbet. Kids of all ages love to order the twist. And are they sprinkles or jimmies? Whether you rather a cone or a cup, cool off with some Kohr Bros. this summer. Click here for a list of Kohr Bros. locations. Summer Screening Now Tastes A Whole Lot Better! Penns Landing, the heart of Philadelphia along the waterfront, where tourist travel from all over to gaze at the city skyline from afar and to watch all the hustle and bustle from a serene location is now offering guests a new way to cozy up under a blanket! 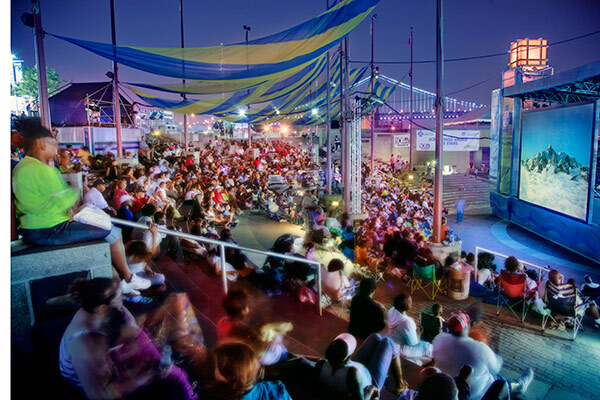 Penns Landing nestled along the Delaware River, once again has been marked on our calendars, but this time instead of bringing your going out attire we ask that you bring popcorn and your pjs! This summer, every Thursday in July and August the free summer movie series will feature a different film for an outdoor screening under the stars. The ambiance will be set under the moonlight sky all that’s missing out of this magical evening is dinner! Dinner and a movie! Before the show begins, dine at Bierstube Tsingtao, 206 Market Street, only walking distance from Penns Landing. It is the perfect place to satisfy your cravings! Screening under the stars now tastes a whole lot better! If you’ve gotten your fix of fresh strawberries already this season, then it’s on to the next juicy fruit at Linvilla Orchards! June 23rd marks the start of Raspberry season and what better way to celebrate then by heading over to Linvilla’s Annual Raspberry Festival. 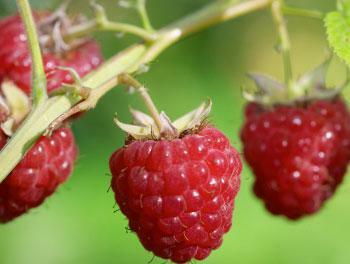 You will find the most scrumptious raspberries around! After all, is there anything better than fruit picked fresh off the vine? And check out Linvilla’s Theresa Rowan’s class at 9 a.m. on Saturday, June 23rd. You’ll learn how to grow them in your very own backyard. Pick up a few sharing to make your garden super special this summer! There will be plenty of entertainment to keep the day moving and you’re likely to run into a costume character or two wandering around the farm. As always there will be face painting, pony rides, games and contests . You can count on lots of fun too. Stop by the Linvilla Grill or Farm Market to satisfy your appetite, and pick up all of your summer garden essentials at Linvilla’s Garden Center! Linvilla Orchards is a 300-acre family-owned farm dedicated to agriculture, education and entertainment for the family. It’s located at 137 West Knowlton Road, in Media, PA. Call 610-876-7116 or visit www.Linvilla.com for a schedule. There is nothing more exciting than a cold beer, except of course, an evening designed to introduce the craft beer of two fabulous local chefs. That’s why Patrick Feury, co-owner and executive chef of Nectar Restaurant in Berwyn and his brother Terence, have joined forces once again to create another fabulous beer. Fighting Feury, brewed by the brothers at Yard’s Brewery, is a bold, assertive pale ale, with American hops and kaffir lime leaves thrown into the boil. Want to taste? The beer will be introduced at a special tasting dinner. Join the brothers at Nectar Restaurant on Thursday, June 14th for a hopping multi-course meal. The cost is $55. Nectar is located at 1091 Lancaster Avenue in Berwyn, PA. For more information and reservations, visit www.tastenectar.com or call (610) 725-9000.